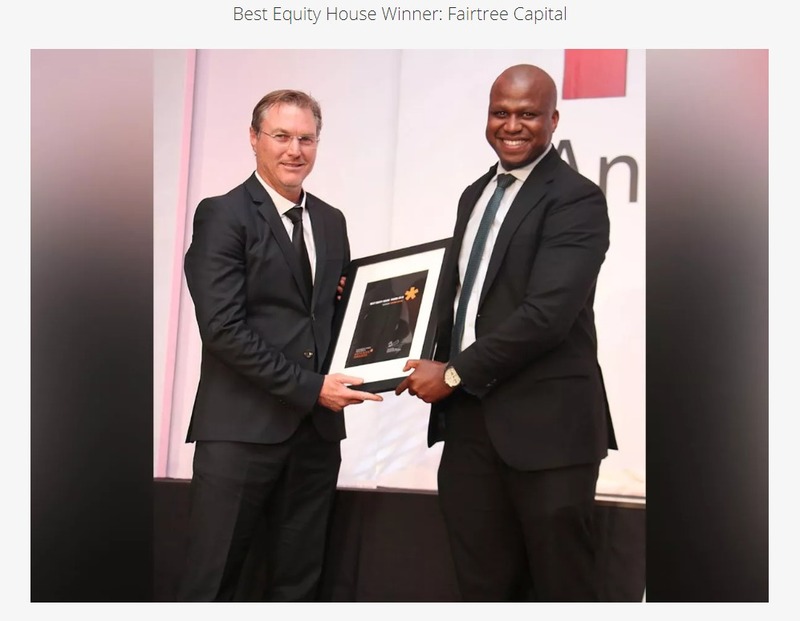 Stephen Brown at Fairtree Capital had a strong year with his Fairtree Assegai Long Short Fund, coming in with a net return of 22.47% in 2017 to take its net annualised gains to 20.65% since inception in June 2011. Brown also added to his team during the year, bringing on board Clarissa van der Westhuyzen, who assists him on the hedge fund side, which has assets of around R2.5 billion. Before joining Fairtree to set up the Fairtree Assegai unit, Brown spent many years at RMB Asset Management, which he joined in 1997, developing a strong track record as a long-only fund manager. He has a BCom, MBA and a CFA. Brown also manages long-only mandates together with long-time colleague Cor Booysen, with assets under management of R32 billion. “Clarissa’s appointment is part of our plans to continue building out the business and to have two separate teams running long-only and hedge mandates,” says Brown. Van der Westhuyzen has a strong pedigree in the markets, spending seven years at Allan Gray as a bottom-up fundamental equity analyst in a generalist role. She then moved to Citibank, spending over five years in equity sales. A qualified chartered accountant and CFA charterholder, Van der Westhuyzen has a Business Science (Finance) degree from the University of Cape Town and a postgraduate diploma in accounting. Van der Westhuyzen supports Brown as a senior research analyst on the flagship Fairtree Assegai Equity Long Short SNN QI Hedge Fund. The fund is a directionally biased long/short equity fund that looks to generate the largest portion of its returns through its directional bias, capturing 60% of the market upside while protecting against 60% of the downside. Relative-value pairs, together with absolute longs and shorts, seek to stabilise returns in turbulent market conditions, supported by adjusting net exposures. 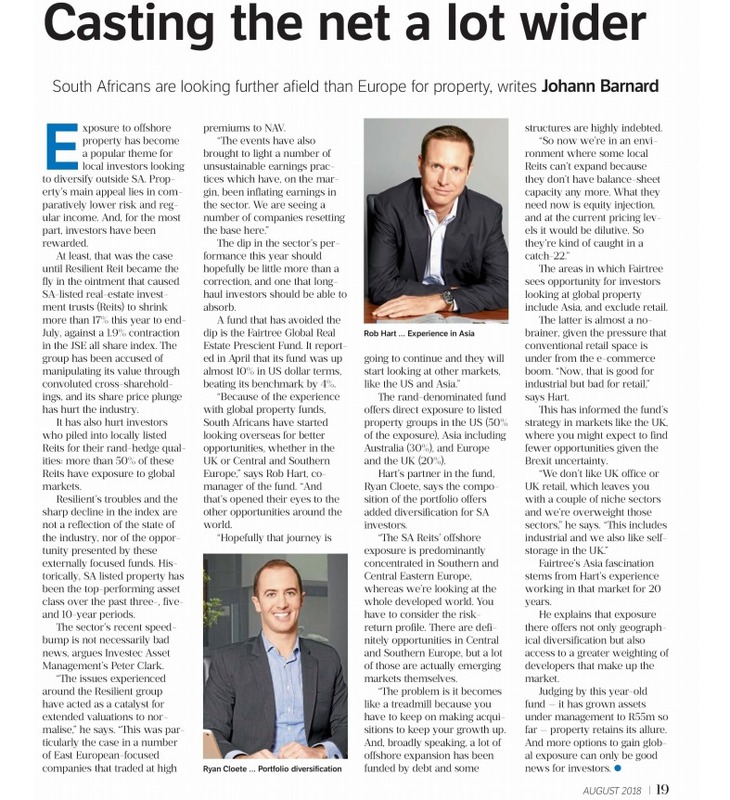 Brown and Van der Westhuyzen are co-managing a new long/short strategy launched last year in response to a client request. The strategy went live on September 1 and has a SWIX benchmark, taking a more relative as opposed to a cash-based approach. The new strategy has gained 19.5% in its first four months since launch, outperforming its SWIX 40 benchmark by 10.8%. The two strategies are quite different in approach, resulting in different directional exposures and weightings relative to the index, and employing different gearing levels and net exposures. The fund has had double-digit gains each year since inception, barring 2016’s muted single-digit return, and continues to be managed using the same philosophy and investment process since its inception. There are about 60 positions on the book. The fund remains positively exposed to risk, with long positions in resources, South African financials and industrials, while adding gearing through shorting certain overvalued defensive equities. Brown notes that 2017 was a “very narrow market” with strong gains in only a limited number of South African stocks, while a lot of different strategies worked in the portfolio to help it to post a solid 12month return. The fund ended the year on a strong note – adding a net 5.68% while many others struggled, helped by long positions in SA Inc counters and short positions in various diversified industrial shares which paid off. Johannesburg’s All Share Index fell by 0.3% during December, with huge disparities across stocks and sectors. In the bigger picture, Brown believes the resources cycle is still intact and metal prices should continue to drive higher amidst strong demand, while the supply side is not yet reacting. He adds that South Africa has experienced low economic growth for an extended period, creating a difficult environment for companies to grow earnings with ratings under pressure. Domestically, he is more optimistic about South African-focused companies, and expects the rand to remain relatively resilient as long as metal prices remain high. The fund has recently trimmed exposure to commodities and rand hedge industrials, freeing up capacity to increase allocations to the retail, insurance and property sectors. While Brown is positive on the outlook for South African equities, he foresees the need to manage ongoing volatility. “Global markets have already made strong gains and it is not going to be an easy year,” he says. “While we believe we are in the right environment to take on risk, we also believe that volatility is likely to increase and have safe-haven positions in place to reduce risk and protect returns. That said, there is a big difference between setbacks and crashes and I don’t foresee a crash.” Copyright. HedgeNews Africa – January 2018.
mentioned may not be eligible or suitable for general sale in some countries. Copyright in this document is owned by HedgeNews Africa and any unauthorised copying, distribution, selling or lending of this document is prohibited.